According to minutes of the Fed’s December gathering released Wednesday, officials believed that with inflation still muted, the central bank could afford to be “patient” about future rate hikes. While the Fed did approve a fourth rate increase for the year, the minutes show that a “few” Fed officials argued against hiking rates at the meeting. Analysts read the minutes as confirmation that the central bank will likely hit the pause button at the beginning of this year to assess the impact of the rate hikes they have already delivered. “Policy is likely on pause for a while and will be highly influenced by the economic data and evolution of key risks, notably those affecting financial markets and global growth,” said Sal Guatieri, senior economist at BMO Capital Markets. 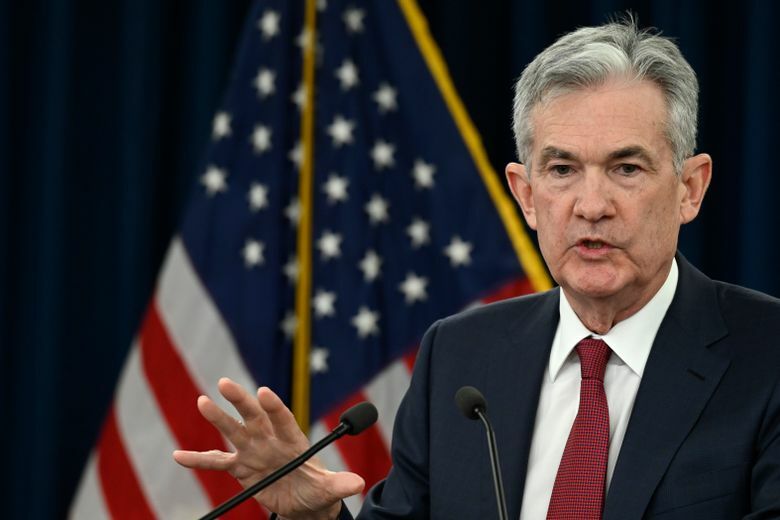 However, in an appearance last Friday, Powell struck a somewhat different tone, stressing that with inflation remaining muted, the Fed could afford to be “patient” in determining when to hike rates this year. The minutes delivered a similar message. Powell is scheduled to speak again on Thursday before the Economic Club of Washington in remarks that will be closely watched for further clues about the Fed’s current thinking. The minutes cited rising concern among business contacts about the impact of Trump’s get-tough trade policies, which have imposed punitive tariffs on imports from China and other nations in an effort to trim America’s huge trade deficit.